Why is Etsy Called Etsy? Etsy was founded by Robert Kalin, Chris Maguire and Haim Schoppik in the loft of a Brooklyn, NY apartment, where they designed, coded and then launched the site in June of 2005. Today, the company employs 717 employees, hosts around 1.4 million active sellers and pulled in more than $1.93 billion in gross merchandise sales last year. A set of Etsy goods made by artists and crafters! Why is it called Etsy? 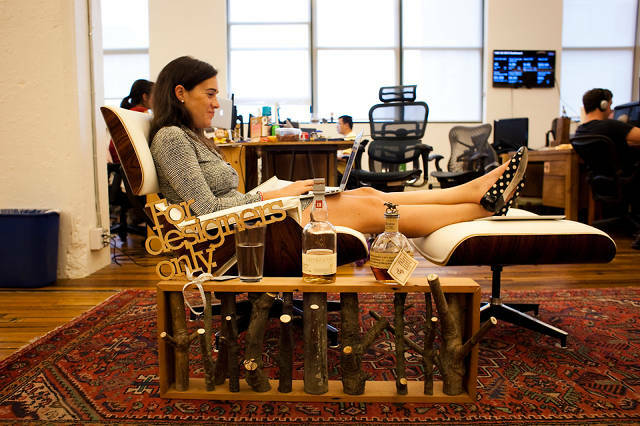 An Etsy designer works hard at Etsy HQ in the Dumbo neighborhood of Brooklyn. SEE ALSO: Why is Zazzle Called Zazzle? Etsy’s business model is shared success. 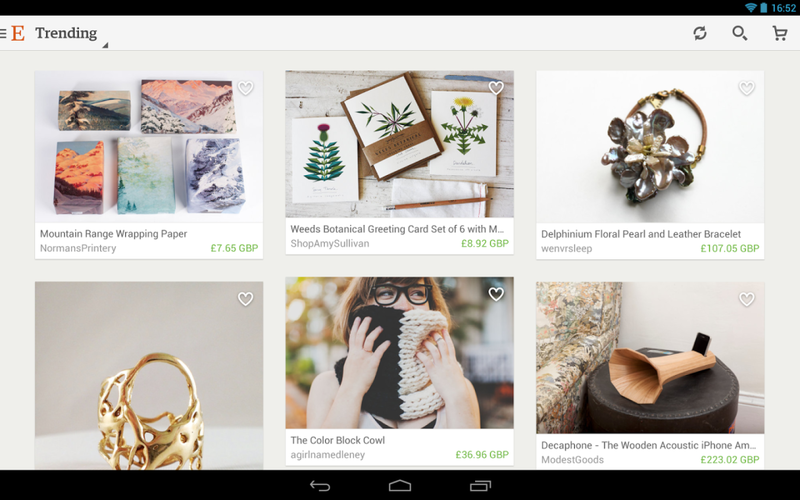 As Etsy sellers make money in their shops, so does Etsy. Sellers must list their items for a fee of at least $0.20 USD. After that, each sale on Etsy’s site garners a 3.5% fee for the company. 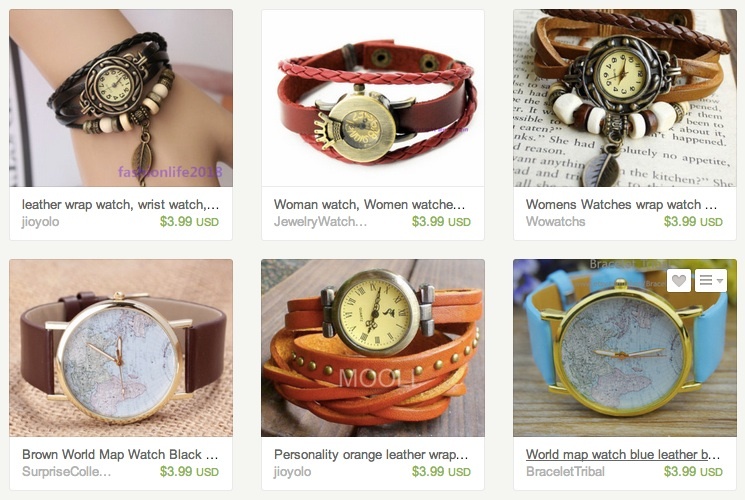 Throw in a little additional revenue from advertising and financial processing, and you have a strong business model that benefits both Etsy and the sellers who operate their shops through the site. The model can be so successful for shop owners. In fact, more than 75% of sellers are creative entrepreneurs who view their shop as a business and almost a third consider it to be their sole occupation and livelihood. Fran is an excellent example of an Etsy entrepreneur pulling in a bit of additional income through her shop on the site. “My body is Etsy’s on Fridays” she says, but it isn’t her sole occupation. This is pretty typical for most Etsy shop owners. But for a select few others, Etsy is a miraculous outlet for entrepreneurship. Take well-known shop ThreeBirdNest. Through its personal website and Etsy shop selling handmade knitted goods, ThreeBirdNest receives an average of 150 orders every single day. Tally it all up and you have a mother-of-three pulling in an annual revenue of $960,000. How can this be? Owner Alicia Shaffer credits her success to a deep-seated motivation to succeed and provide for her three children, but truth be told, not everyone is so naturally lucky. For Shafer and ThreeBirdNest, it’s hard to say what exactly caused the shop to take off so well; was it the charm of the products themselves? The team Shafer employs? Her use of Pinterest to link items all over the web? Either way, ThreeBirdNest is making a killing. There is however, another side to the story, for there seems to be a blurred line between what exactly qualifies as “handmade.” Let’s take another look at ThreeBirdNest which has been the center of attention as of late for reselling cheap items from Alibaba and labeling them as handmade. Some would say that Shaffer has crafted for herself one incredible markup; others feel cheated by the mislabeling of the products. Here is the Etsy Handmade Policy itself: Sellers must exhibit authorship (demonstrating that the inception and creation of items begins with the artist themselves), responsibility (demonstrating that the seller knows and is invested in the production of their items) and transparency (demonstrating that all items must be honestly represented in a trustworthy manner). However, with the introduction of some new guidelines in the fall of 2013 that allow outsourcing, it became clear that the handmade issue had taken a turn. China has come into the picture; and with the introduction of hundreds of thousands of discount shops, it seems that the handmade movement has become quite diluted, to the dismay of many loyal artisan shoppers and sellers. A set of inexpensive Chinese wrap watches. “We know that the lines we’re walking – to protect what makes Etsy special but allow our members’ businesses to flourish – are tricky,” said Engelheart on the company blog.